Three African countries—Kenya, Tanzania and Uganda—have decided to crack the whip on illegal logging and timber trade that is robbing the East African region of some of its most valuable natural resources and biodiversity. They have joined hands with the Interpol and various UN agencies, including the Food and Agriculture Organization, the United Nations Development Programme, the UN Environment Programme and the UN Office on Drugs and Crime. A statement issued by the UN Environment Programme (UNEP), says the three countries made the commitment at the recent UN Environment Assembly held in Nairobi after a report from the world body that called for greater international cooperation to curb illegal trade. Ephraim Kamuntu, Uganda’s Minister of Water and Environment, has said the announcement is a step towards addressing the problem of illegal logging at a regional level, but that it will be necessary to continue to work towards a global collaboration. According to the statement, the East Africa Initiative on Illegal Timber Trade and the REDD+ (Reducing Emissions from Deforestation and Forest Degradation programme are innovative crossborder efforts to act as a powerful deterrent to Africa’s illegal timber trade. In addition to checking the illegalities, the global initiative aims to strengthen law enforcement and forest governance to reduce emissions resulting from the loss of forest cover. The economic costs of illegal logging are staggering; an estimated $30-$100 billion is lost globally every year to the flourishing timber trade. This is damaging national and regional economies. Well-managed forests are a vital economic resource that supports the livelihoods of 1.6 billion people, the statement says. 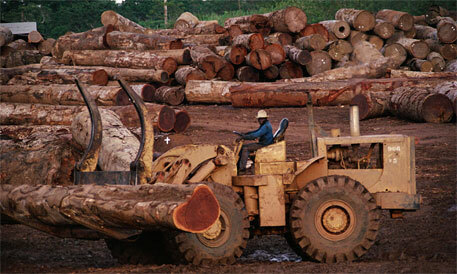 Besides economic loss, illegal logging also degrades forests and destroys biodiversity, UNEP Executive Director Achim Steiner said during the launch of the initiative, a media house reports. He cited the UNEP report which said that safeguarding the world’s forests was the most cost-effective way to mitigate climate change. “Well-managed forests also generate multi-trillion-dollar services such as reliable water flow, clean air, sustainable timber products, soil stabilisation and nutrient recycling. We cannot afford, economically or environmentally, to allow the continued wholesale destruction of one of our planet’s most valuable resources,” the report says. Apart from checking illegal logging within national frontiers, the initiative intends to prevent the three African countries from being used as transit points for illegal timber trade. Africa has an estimated forest cover of 809.4 million hectares. According to UNEP documents, between 2000 and 2010, 3.3 million hectares of tropical forest was lost annually to illegal logging. The African effort has been welcomed by Norway, a strong supporter of tropical forests. The Scandinavian country has provided funds worth $5 million to support this partnership over the next two years. Tine Sundtoft, Norwegian minister of Climate and Environment, congratulated the African nations, the UN and the Interpol for coming together. Stressing the need for other countries and stakeholders to come on board, Sundtoft said illegal logging in Sub-Saharan Africa deprived countries of substantial revenues from the forest sector. Niklas Hagelberg, a programme officer for the UN Environmental Programme’s policy division, recognises that the problem of illegal timber cannot be halted in two years. He says the collaboration of the African countries is part of a long-term plan. “This will start putting in place the elements that will make it harder to log illegally and more feasible to produce timber and charcoal legally,” he said.